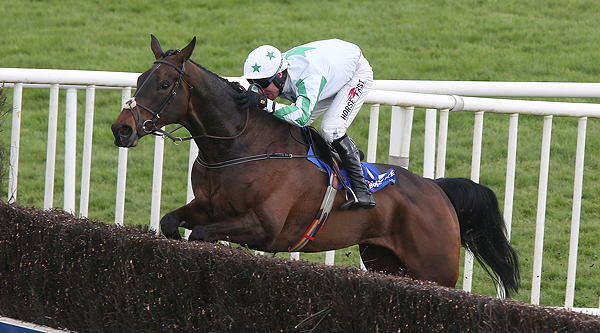 Can Our Duke Make Irish Grand National History? While most of the racing world is focused on Cheltenham, the fanatics, tipsters and bookmakers are only too well aware that the festival is only the first in a sequence of high profile race meetings that will lead us into the summer of 2018. With the weights announced for the Grand National at Aintree and the Irish equivalent at Fairyhouse, now is a perfect time to look beyond the Gold Cup to some of the other highlights of the coming year. There is less than a month between the Cheltenham Festival and the Grand National weekend, so it is natural that as soon as the dust has settled at Prestbury Park, thoughts turn to Aintree. With more than 100 initial entries, the writers at Racing Tips have already been studying the form to deliver their early tips for the 2018 Grand National. However, they have also cast their eyes across the water, as the week before the action at Aintree, there is the small matter of the Irish equivalent to consider, where last year’s winner Our Duke is looking to carve his place in the history books. As the tipsters waited for the weights to be announced for Fairyhouse, everyone knew that Our Duke would be facing an increase from last year. However, 11-10 represents a rise of some 13lb. The horse’s trainer is Jessica Harrington, and she took the news in her stride, saying only that Our Duke has never been in better shape and that Easter Monday cannot come around fast enough. It is hard to argue with her assessment. He has bounced back from the Irish Gold Cup disappointment to win a hard fought race at Gowran last week, where he was pushed all the way by Presenting Percy. But can he really become the first horse since Brown Lad, in 1976, to win back to back Irish Grand Nationals? Early odds from the bookmakers are around the 14/1 mark – meaning only at this stage that he is seen to be among the favourites, but by no means a stand out. Expect the picture to become significantly clearer in another two weeks or so, when the Cheltenham Gold Cup has played out. It is a little ironic that while most of the recent race meetings have been viewed from the perspective of what clues they give for Cheltenham, there will be some that watch Cheltenham to understand form for what is to come next. From a neutral perspective, the sheer theatre of the Irish Gold Cup was a joy to watch, and the prospect of seeing Our Duke and Edwulf do battle once again is a mouth watering one. While neither are seriously expected to trouble the front runners, they will be involved in a mid-field battle that will give plenty of clues for the Irish Grand National a little over two weeks later. Mall Dini, meanwhile is another horse given early odds of 14/1 for Fairyhouse. The eight year old holds provisional entries for the National Hunt Chase on Tuesday and the Kim Muir Handicap Chase on Thursday. Whichever way trainer Patrick Kelly decides to go with him, there will be valuable lessons to be learned, and the bookmakers will react accordingly. Not all the front runners for the Irish Grand National will be on display at Cheltenham. Perhaps the most fancied of all at this juncture is Folsom Blue. The 11 year old looks to have taken on a new lease of life since changing to the care of Gordon Elliot last November, and will be sufficiently rested after winning the BoyleSports Grand National Trial Handicap Chase on 11 February.